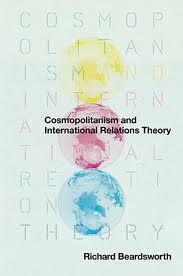 In my recent book Cosmopolitanism and International Relations Theory I respond to two judgments in the discipline of International Relations concerning cosmopolitan commitments. First, qua moral, they remain normative; attempting to embed them in empirical practice is consequently either naïve and/or dangerous. Here cosmopolitanism has often been conflated in IR with neoconservative foreign policy (particularly among Realists); or rather, actually existing cosmopolitan commitments have been critiqued through the critique of neoconservative foreign policy. Second, cosmopolitanism has been more generally associated, when seeking institutional form, with the hegemonic strategies of ‘global liberal governance’. Here cosmopolitanism is considered reducible to Western forms of either cultural/legal universalism (particularly among postmodern IR theorists) and/or economic neo-liberal universalism (particularly among post-Marxists). My response unties in detail the theoretical confusions that permit both kinds of judgment, arguing strongly for the pertinence of universal commitments in international politics. While doing so, it nevertheless assumes the difficulty of a cosmopolitan politics at this moment of world history. The book argues, accordingly, for a pragmatic cosmopolitanism: one that situates responsibility to cosmopolitan commitments on specific global issues within state behaviour. The argument is left unfinished in the book and requires more reflection in the context of current transitions in power. With the emergence of a multipolar world and the loss of a global hegemon, the disjuncture between global problems and the institutions to address them effectively and legitimately is apparent. State responsibility to cosmopolitan commitments on specific global issues needs consequently, to be argued all the more: on both empirical and normative levels. Empirically, increasing dependence between states and their peoples fosters ever-more distinctive, but inter-related transnational problems; it is therefore in the national interest regarding these problems to act collectively. As both the current financial crisis in the EU and the dilemmas of the UNFCCC conferences on climate change mitigation and adaptation however show, states’ assumption of supranational commitments constitutes also, and crucially, a normative issue. This assumption requires moral responsibility and moral leadership. Both are currently lacking. The argument for cosmopolitan commitments in the next era of the post-Westphalian system of states must therefore be made, at one and the same time, in empirical and normative terms. Such argument fosters more emphatic political vision in the discipline of IR. Sciences Po, Ecole doctorale, 199, boulevard Saint Germain, 3è étage.